Grains have come a long way, and to add some dimension and unique flavor to our standard dinner I have been testing out quinoa recipes. Quick to cook, these rich grains retain an amazing amount of flavor that I typically accentuate with some dill, salt and pepper. The family loves the grain, but does get sick of the same old recipe. I recently had the chance to check out a new cookbook calledBlissful Bites: Vegan Meals that Nourish Mind, Body, and Planet(BenBella Books, September 2011), a comprehensive recipe book with 175 easy-to-make, delicious recipes that use locally grown, organic ingredients. 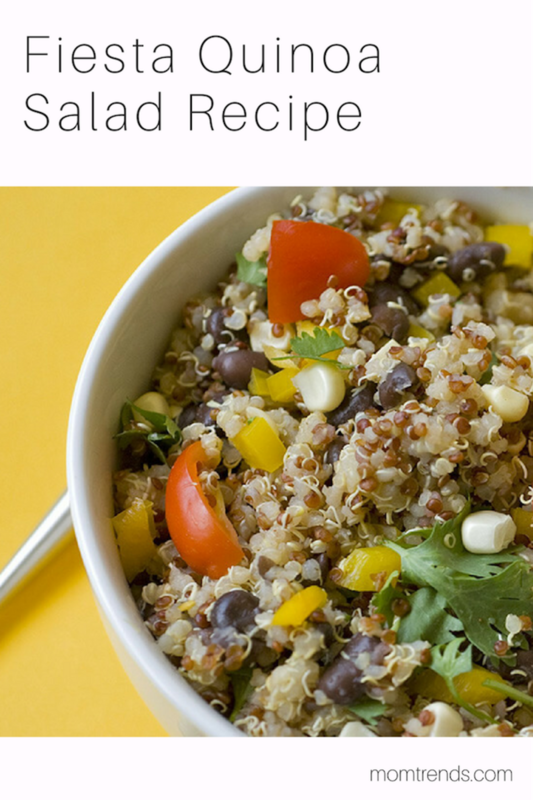 To mix up a bland dinner, I tested out the Fiesta Quinoa Salad, a Mexican inspired salad that uses both regular and red quinoa for a beautiful look that is also amazing to eat. Much like my standard quinoa dish, this one was also quick (about 30 minutes) where I created both a tasty lime dressing and unique flavors and texture to the quinoa with corn, black beans and yellow peppers. I loved the dimension these flavors brought to the dish as well as the amazing dressing that packed a zesty and bold punch. The family also loved the dish, and I loved how the book inspired me to try something new - especially since it was based off of a food that we already loved. Written by Christy Morgan, who is also known to her blog readers as The Blissful Chef, the book provides parents with a healthy collection of meals that makes vegetarian and vegan cooking simple, fun and exciting to test out. Through this book, which also happens to focus on seasonal eating, you can learn a thing or two about cooking at home with Christy&apos;s amazing cooking and prep tips, a guide to stocking your pantry as well as some knife skills to help you through your cooking. Through the book and a desire to change up our dinnertime routine, I added a new and really easy quinoa dish to our meals while also creating a dish that was vibrant, delicious and heathy! Place quinoa, corn, and water in a medium saucepan with pinch of salt and bring to a boil. Simmer covered for 20 minutes over low flame. Meanwhile, whisk the dressing ingredients in a small bowl until well combined. Fluff quinoa with fork, place in medium bowl, and stir in the black beans, veggies, dressing, and cilantro. Season with sea salt if needed. Serve warm or cold the next day. Have you tried any good quinoa recipes? Please share.